Moab is well reputed to be an adventure-lovers mecca of the West. People come from around the globe to experience the diverse out door activities; others want to simply soak in the unusual and unique red rock formations. What many visitors don’t know is that during the first decade of the 20th century, Moab was one of Utah’s largest fruit producing regions. Peaches, apples, apricots, cherries and grape orchards were the most prolific. (Utah Hwy 128), Castle Creek Winery provides a great escape from the heat. Situated along the banks of the Colorado River, the winery has hundreds of lush, green orchards that stand in stark contrast to the red rock canyon in which it is located. Castle Creek Winery also sources fruit from orchards nearby in Spanish Valley and Monticello. Castle Creek Winery, the largest in Utah, produces award winning Pinot Noir, Chardonnay, Merlot, Chenin Blanc and Cabernet Sauvingon. Each bottle is produced start to finish on the property: bottles are filled, labels applied by hard working hands and then boxed, approximately 8,000 cases of wine per year. 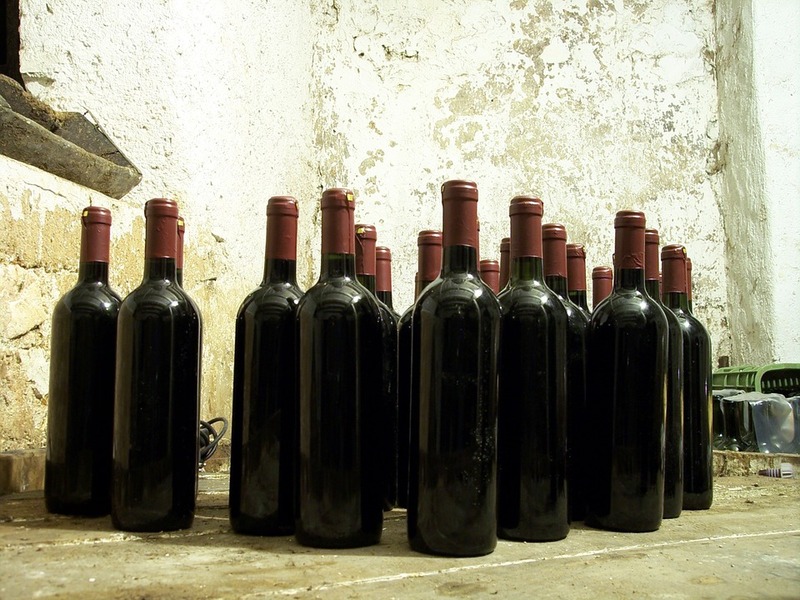 Rather than blending, the wines produced come from a single vintage. The GuestGuide team had the chance to stop in during our trip to Moab and we absolutely LOVED spending time at the winery. All of us favored the Outlaw Red and ended up leaving with multiple bottles! Castle Creek Winery offers complimentary daily wine tastings from 12-7 during the season- wine tasting is seasonal so call first if you are visiting in shoulder season. The winery boasts a 4,000 sq ft reception area, a gift shop and the longest bar in the vicinity to guarantee a spot for desert weary thrill seekers. With a beautiful deck overlooking the property of Red Cliffs Lodge and daily tours, it is a wonderful place to add culture to your day. The winery will happily accommodate your wedding, private party or special gathering. Call (435) 259-3332 to book a tour or reserve the room and experience the sophisticated side of Moab.